Over the years, we've built some fantastic custom surprise shows. 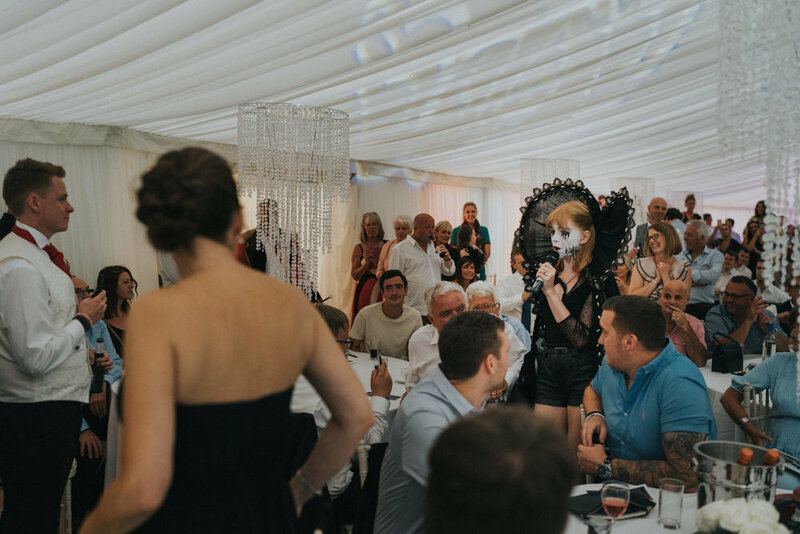 Our surprise singers can perform musical numbers from past and present, and can combine with our dancing team to really make you and your guests feel like you’re in the middle of a musical! Past performances include Lion King themed shows, La La Land inspired pieces, and Circus themed numbers! 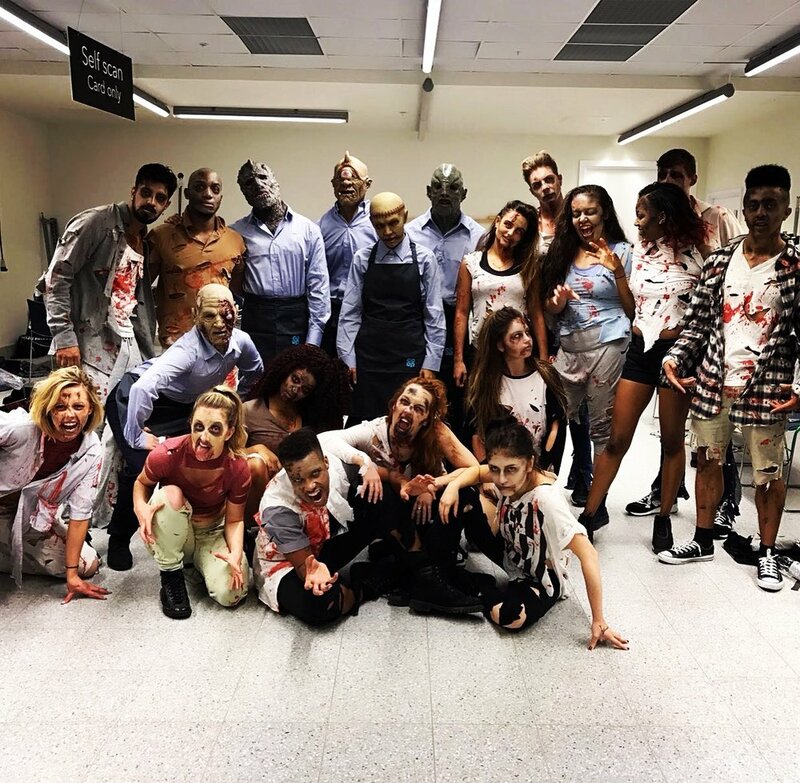 Our talented musical theatre singers & dancers can put together a show from whatever films or musicals you have in mind - or make a medley from your favourite ones. Just get in touch with our creative team and tell us how we can make your dream into a reality. Call us now on 02078673769 for ideas on how to make your event even more special with a surprise performance! Our musical numbers can come out of nowhere fully costumed, or the team can pose as staff and guests like this La La Land inspired show! Our circus performers about to flash mob the party with the birthday boy in the middle! I and the guests at my 50th birthday were completely blown away by the performance. The attention to detail on costume, performances and staging was staggering. We were all in awe watching the talented Club Mob team. The vocalist were outstanding, and the dancers took our breath away. Thank you so much in making my 50th birthday and event that over 100 people will never forget. You are true professionals - from the planning to the execution it was faultless. Acts can be adapted for weddings, parties, corporate events, proposals or birthdays!